Dylan carves a little red boat with his own two hands—but then it gets lost down the river! He thinks it's gone forever. But one day, he finds it when he least expects it. Will Dylan get his boat back again? 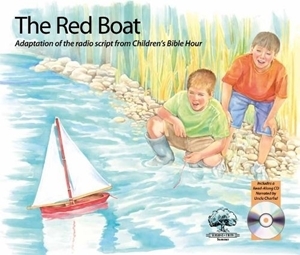 Find out in this picture book that teaches children why Jesus died for our sins. These softcover books also include a CD of Uncle Charlie reading the story.